Patient blood management was associated with fewer transfusions and reduced blood use with similar or improved clinical outcomes in patients undergoing orthopedic surgery, reports a study published in Anesthesiology, the journal of the American Society of Anesthesiologists (ASA). A blood management program using a hemoglobin transfusion threshold of 7 g/dl in asymptomatic orthopedic patients reduces blood use by 32.5% and results in similar or improved clinical outcomes primarily in patients 65 yr of age and older. As per the AABB (formerly the American Association of Blood Banks) guidelines. 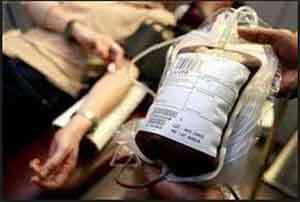 Blood transfusion should be given to the most when the hemoglobin level drops to 7 grams per deciliter (g/dL) of blood. But for orthopedic and cardiac surgery patients, the guidelines call for giving a blood transfusion when their level drops to 8 g/dL. Pranjal B. Gupta and his associates conducted a study to test the hypothesis in orthopedic patients that implementation of a patient blood management program encouraging a hemoglobin threshold less than 7 g/dl results in decreased blood use with no change in clinical outcomes. The authors retrospectively evaluated all adult orthopedic patients, comparing transfusion practices and clinical outcomes in the pre- and post-blood management cohorts. After patient blood management implementation, the mean hemoglobin threshold decreased from 7.8 ± 1.0 g/dl to 6.8 ± 1.0 g/dl. Erythrocyte use decreased by 32.5% (from 338 to 228 erythrocyte units per 1,000 patients). Clinical outcomes improved, with decreased morbidity (from 1.3% to 0.54%; ), composite morbidity or mortality (from 1.5% to 0.75%; ), and 30-day readmissions (from 9.0% to 5.8%;). Improved outcomes were primarily recognized in patients 65 yr of age and older. After risk adjustment, patient blood management was independently associated with decreased composite morbidity or mortality. Possible risks and adverse outcomes associated with blood transfusions include acute lung injury; transfusion-associated circulatory overload (TACO), which causes excess fluid in the lungs; hemolytic (rupture of red blood cells) transfusion reactions, which most often occur from wrong or incompatible blood units being given; and infectious or viral transmissions.